What makes a company jump from merely being a good one to being a great one? Jim Collins takes a deep look into that question in this best selling study, "Good to Great: Why Some Companies Make the Leap...And Other's Don't." 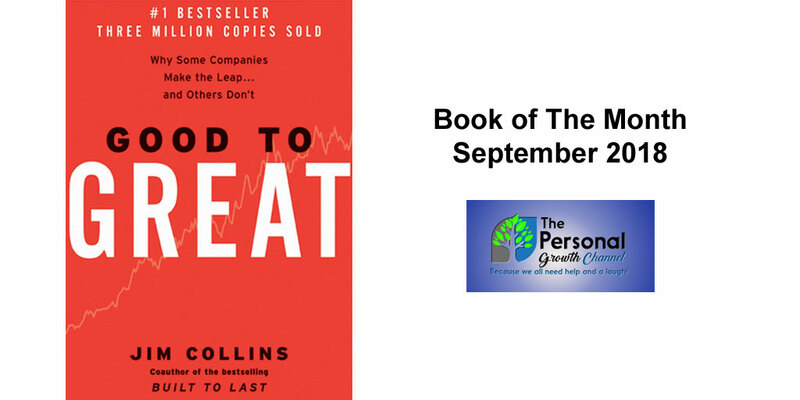 This month's personal development book of the month dives into the differences between the good and the great companies as measured by their sustained results over a fifteen-year time span. The great ones in this study not only beat the stock market average, but they beat it by an average of 700%! If you've ever been interested in what truly makes a difference in business, sit back and enjoy this interesting study. Click here to order now!